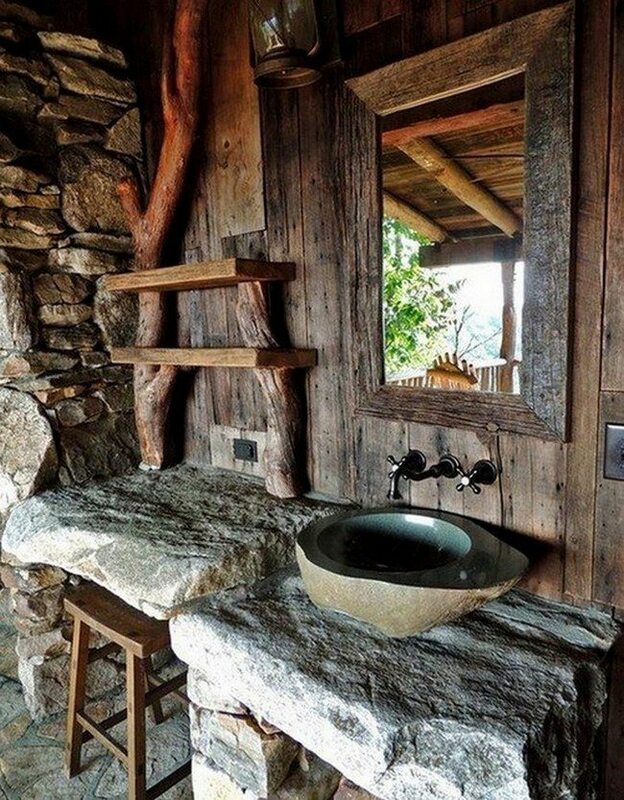 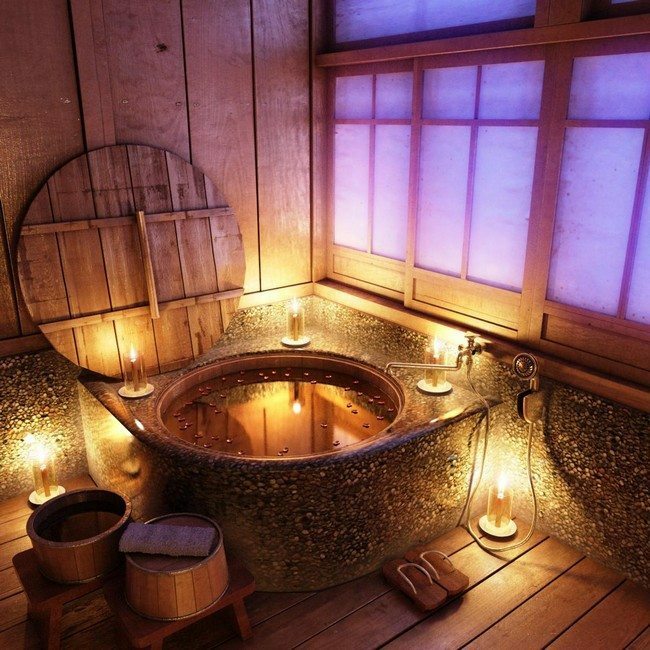 A rustic bathroom is easy to design and beautiful to the eye. 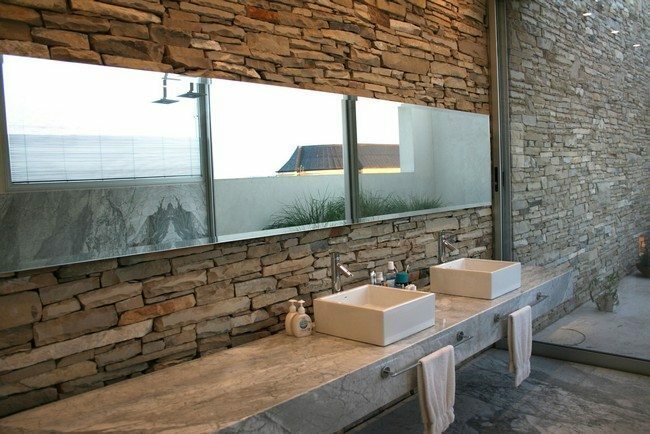 The design is easy to achieve, it is all about the color and materials used for the surfaces and adding a few acessories. 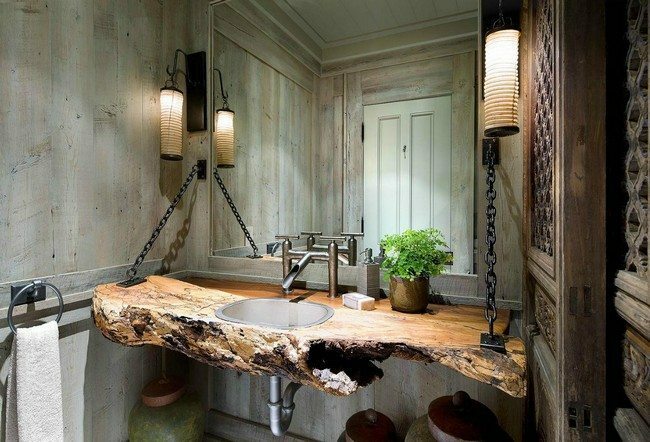 Most rustic bathrooms usually have traditional ceramic pedestal sinks with taps made of metal. 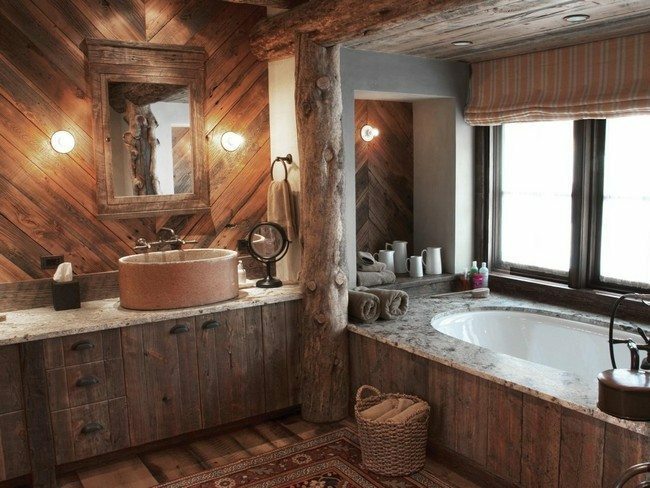 Wood is considered one of the key elements for any rustic design, be it the bathroom, kitchen or living room. 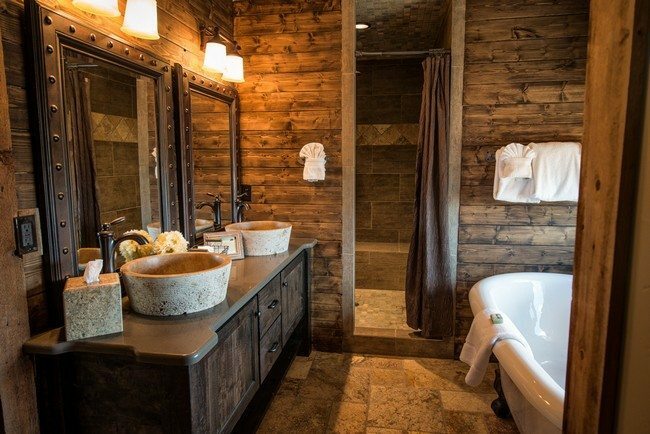 To complete the rustic look, use wooden walls or doors in the bathroom. 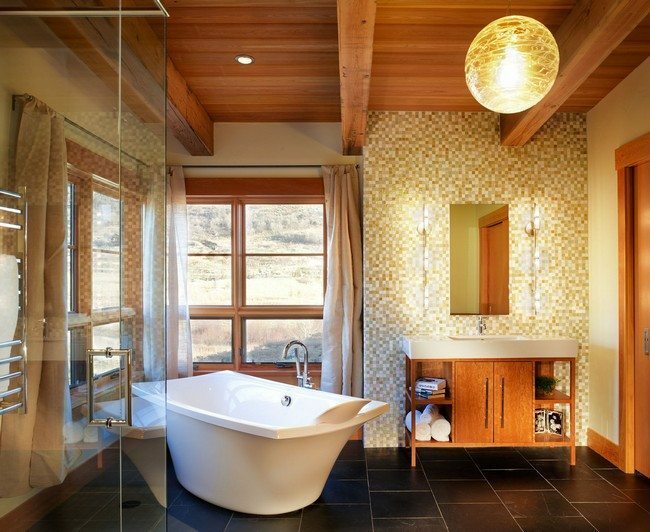 Another way of employing wood in a rustic bathroom design is through the use of hardwood floors. 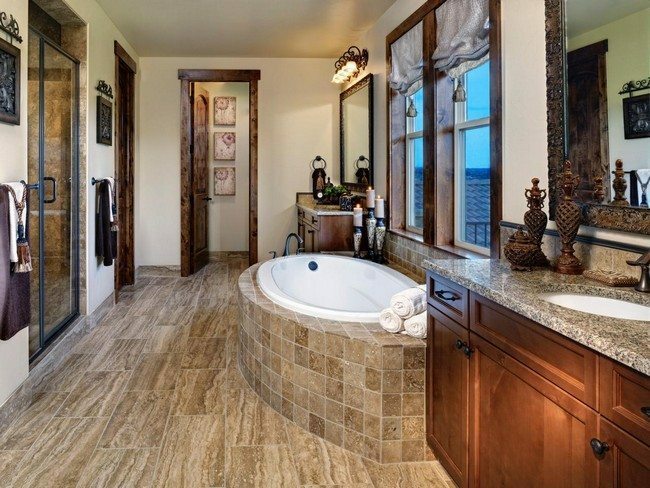 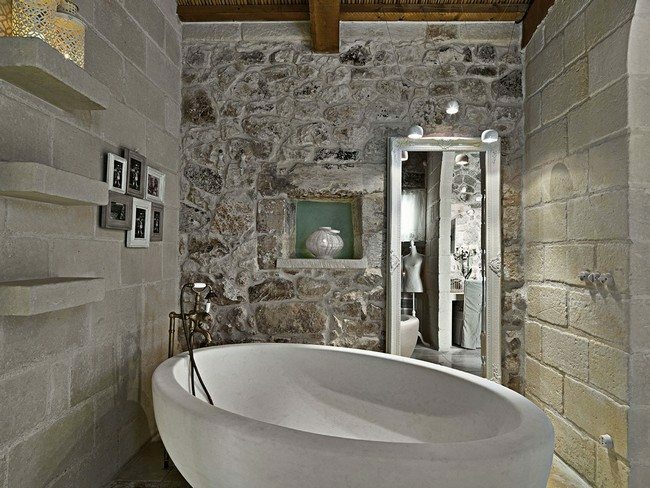 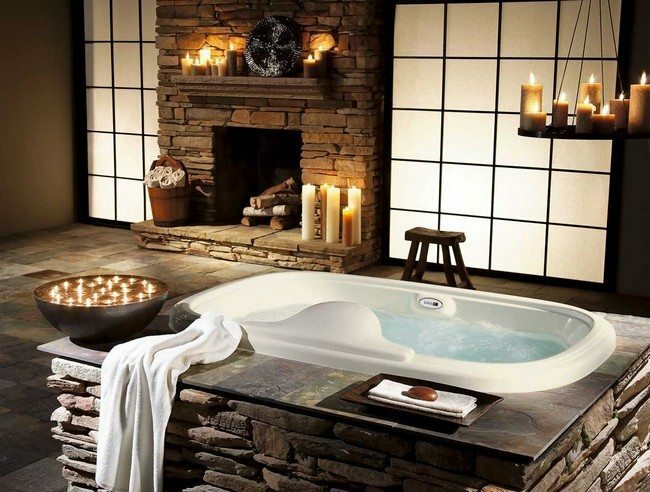 Stone walls are a good way of achieving the rustic bathroom look. 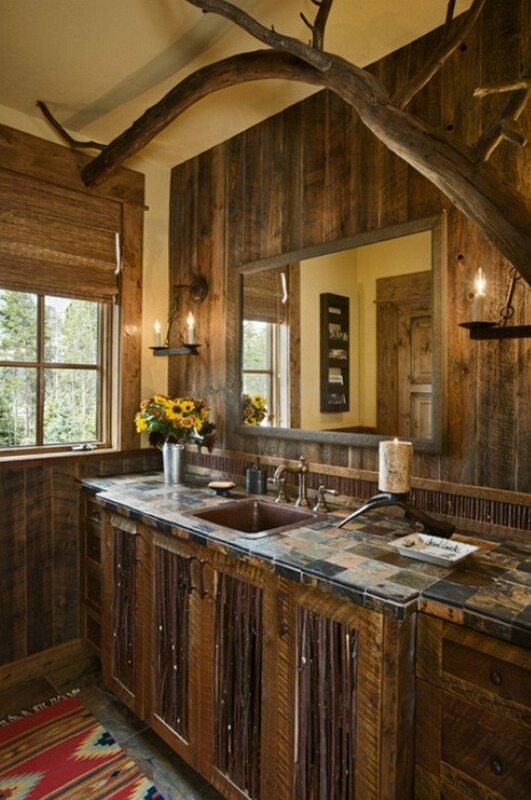 The dark brown shade also contributes to the rustic look. 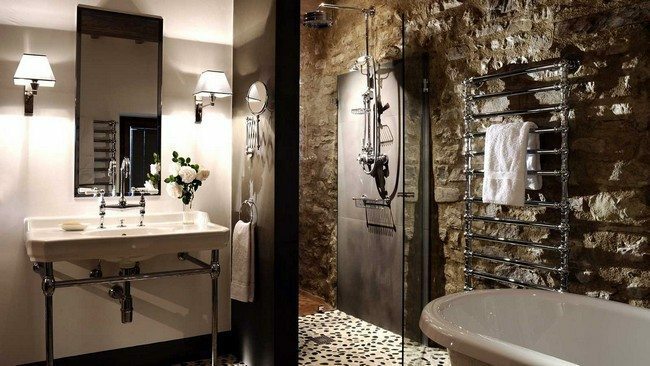 The wallpaper used on the wall and the dark tile floor gives the room a monochromatic look that is refreshing and beautiful to look at. 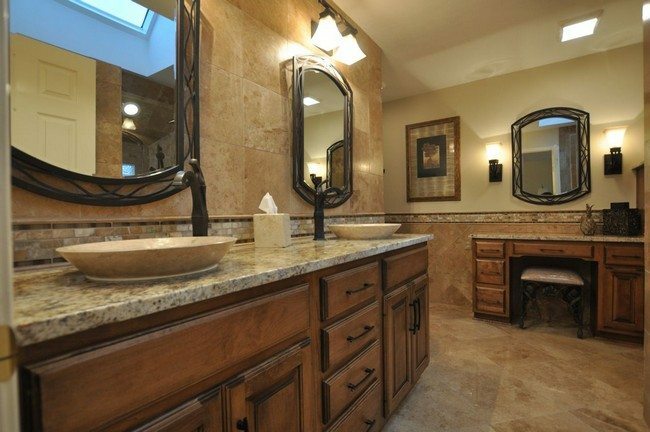 Cabinets in the bathroom are a great way of improving the design while also providing storage solutions. 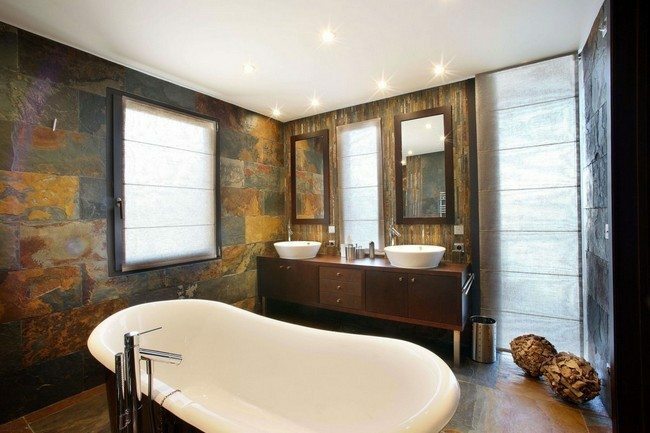 A brick wall or brick-style wallpaper creates a rustic aesthetic in the bathroom. 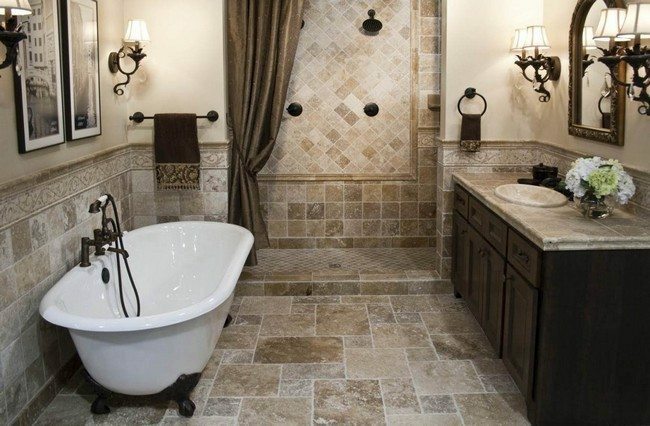 Antique accessories have a way of making the bathroom stand out and look appealing. 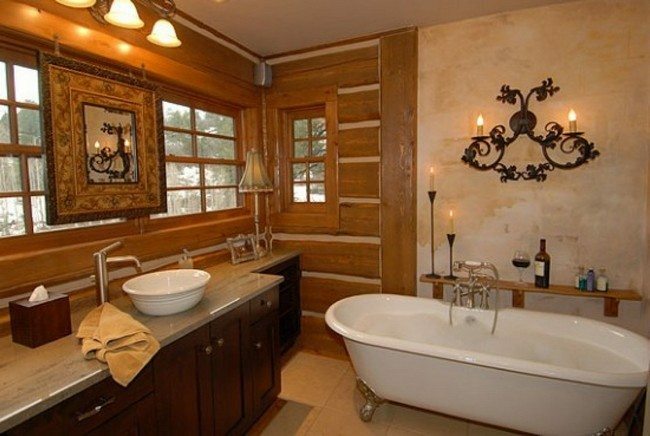 Adding a few items like colored mats and a bunch of flowers is a simple way of creating a rustic bathroom look. 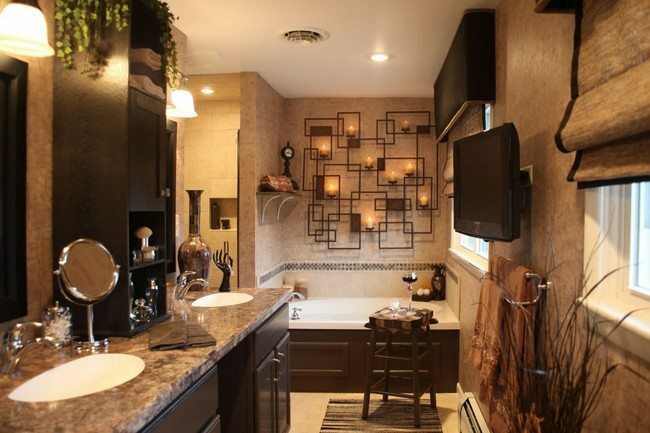 You can add a touch of excitement to your bathroom by going for a non-traditional design like creating a fireplace in the bathroom. 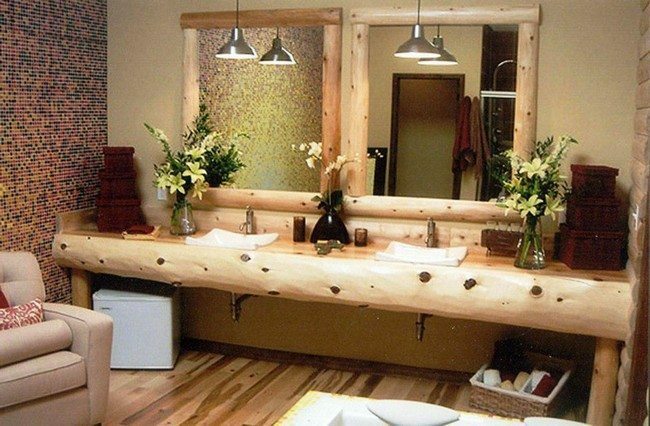 You can add to your rustic bathroom design by installing shelves where you can display accessories and toiletries.